Our partners help us in providing the best price offer for the type of service you are looking for. Dell Inc. is an American multinational computer technology company based in Round Rock, Texas, which manufactures, sells, repairs, and supports personal computers (PCs), servers, data storage devices, network switches, computer software, computer peripherals, high-definition televisions, cameras, printers, and electronics built by other manufacturers. The company is known for its innovations in supply chain management and e-commerce, particularly its direct-sales model and its “build-to-order” or “configure to order” approach to manufacturing—delivering individual PCs configured to customer specifications. VMware’s desktop software runs on Microsoft Windows, Linux, and macOS, while its enterprise software hypervisor for servers, VMware ESXi, is a bare-metal hypervisor that runs directly on server hardware without requiring an additional underlying operating system. Microsoft Corporation is an American multinational technology company with headquarters in Redmond, Washington. It develops, manufactures, licenses, supports and sells computer software, consumer electronics, personal computers, and services. Its best known software products are the Microsoft Windows line of operating systems, the Microsoft Office suite, and the Internet Explorer and Edge web browsers. Its flagship hardware products are the Xbox video game consoles and the Microsoft Surface tablet lineup. As of 2016, it is the world’s largest software maker by revenue, and one of the world’s most valuable companies. Zebra Technologies is a public company based in Lincolnshire, Illinois, USA, that manufactures and sells marking, tracking and computer printing technologies. Its products include thermal barcode label and receipt printers, RFID smart label printers/encoders/fixed & handheld readers/antennas, and card and kiosk printers that are used for barcode labeling, personal identification and specialty printing principally in the manufacturing supply chain, retail, healthcare and government sectors. 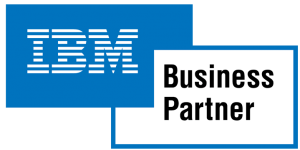 IBM (International Business Machines Corporation) is an American multinational technology company headquartered in Armonk, New York, United States, with operations in over 170 countries.